Flexible cables for use in the distribution of low voltage power in fixed indoor and outdoor installations. Due to their flexibility and ease of handling, it would save lot of time during installation. 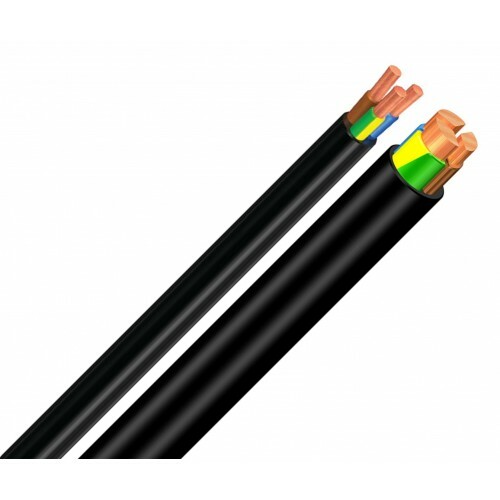 The entire range of cables is Non Flame - Propagation compliant as per the IEC 60332-1-2. The UNFIRE variation is also Non Fire-Propagation compliant as per IEC 60332-3. As of the 50mm2 section is inclusive, the SECTORFLEX configuration is offered with flexible sectorial conductor that, with the same electrical properties and the same conventional terminals and accessories as circular cable, provides a smaller cable diameter and weight that significantly increases its ease of handling and installation. Flexible copper conductor class 5 (to IEC 60228), Cross-linked polyethylene (XLPE) insulation Acrylic polyvinyl chloride (flexible PVC) sheath.